SUPPORT YOUR GIFT RECIPIENTS’ INTENTION OF GOOD HEALTH IN 2014 AND BEYOND. One of the easiest, and best, ways to reinforce their goals? Cookbooks. They might not cook–yet. Good chance that their new regime includes cooking healthier meals. If your gift recipient already cooks? They will especially love these gift ideas. That is, if they haven’t already beat you to it and stocked up. Even so, all cookbooks are not the same. The editors of EatingWell magazine vetted the recipes in EatingWell Healthy in a Hurry Cookbook: 150 Delicious Recipes for Simple, Everyday Suppers in 45 Minutes or Less in their test kitchen. They’ll appreciate quick, simple meals and having so many to choose from. Those with families will really appreciate the ability to maintain health goals and serve delicious food the others will actually enjoy. Garlic & Parsley Rubbed Lam Chops with Greek Couscous Salad anyone? Includes nutritional breakdown per dish, as well as category breakdowns (i.e. “low carb”, “Family Friendly” “how to cook veggies”, etc). Delight this carnivore gift recipient with the knowledge that beef and health coexist. The Healthy Beef Cookbook proves it. Yes, the Cattlemen’s Beef Association and the owner of a steak restaurant collaborated on this book, but with the American Dietetic Association; and a food and health educator. The book educates your beneficiary about the lean and health aspects of beef. Includes tips for optimum prep and cooking techniques. It’s a good bet they’ll enjoy being able to showcase their prowess with delicious, meaty easy suppers or special occasion entrées. 133 recipes like Barbecue Beef Stir-Fry with Couscous or Beef, Arugula, and Spinach Lasagna or Garlic and Wine Tenderloin with Cremini Mushroom Risotto? No worries, it includes grilling and sandwich recipes, too–and so much more. 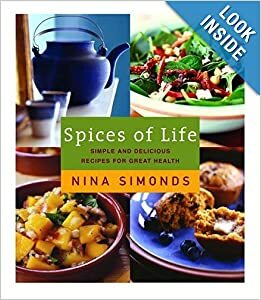 The Spices of Life: Simple and Delicious Recipes for Great Health still makes the list of many health and dietary experts. The author stresses the holistic properties of the foods, herbs and spices in recipes–with help from the likes of Dr. Andrew Weil. Holistic aspects that she melds with the conventional, scientific health aspects–with advice from Med-diet expert Walter Willett. It includes practical tips for a sensible lifestyle, 175 recipes and scientific research and much more, like a color driven approach to food. If they follow VB6: Eat Vegan Before 6:00 to Lose Weight and Restore Your Health . . . for Good , they’ll become a flexitarian. Do the vegan thing until 6PM, and afterwards eat non-vegetarian in moderation. VB6 provides vegan recipes for breakfast, lunch and snacks; and no-vegan dinners. The author claims swift and impressive results. Lasting and sustainable results. He includes tips and tools, shopping lists, strategies for travel dining and more. The America’s Te st Kitchen Healthy Family Cookbook editors don’t consider it a diet book. It features over 800 All-American recipes–breakfast to desserts–of everyday family meals with some global twists. The book promotes healthier prep of favorites through proven techniques and flavor. Even kid favorites (crispy chicken fingers without frying). In addition to promoting everyday fare, this book stresses whole grains, vegetables, leaner cuts and sensible portion sizes. From lighter meat loaf to healthier Indian Curry to lower fat/calories chocolate chip cookies. It also includes tips, product recommendations, and overall helpful information. Your entertaining gift beneficiaries can appreciate the Gather, the Art of Paleo Entertaining cookbook. Food plays a big part of the event. With Gather, your entertainers learn to serve delicious and satisfying dishes that promote good health. 116 recipes/menus, for both elegant and casual affairs. Also includes entertaining tips and tricks. The authors claim that skill level is unimportant to create and host perfect dinner party. You’ve gifted the perfect cookbook. Your recipient’s new health goals are on track. They’ll likely brown bag it from the delicious meal leftovers. Consider coupling the cookbook with a bento lunch box. Or, recruiting someone else to gift the bento, so you two can present the items together. Bento boxes like the Zojirushi Ms. Bento Lunch Jar. 3 microwaveable bowls keep all their goodies pristine; and warm or cold. Stainless-steel vacuum insulated container. Or, perhaps the more compact Bento Lunch Box 2.0 fits better. 3 water-tight, leak-proof containers and holder. Available in several colors. Your gift recipient might be more efficient and organized, requiring fewer compartments. Like the two of the Box Appetit Lunch Container. A clear, lockable lid tops it. The beneficiary’s lunch is never a mystery. Even has a dipping well for sauces or dressings. 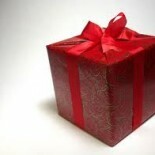 HERE’S TO YOUR GIFT RECIPIENT’S HEALTH. MAY YOU FIND THE PERFECT COOKBOOK TO DELIGHT. This entry was posted on January 14, 2014 by frugalistagiftguide in A, B. C, Food, Health, Uncategorized and tagged cookbook, flexitarian, Frugal, Frugalist Gift, health gift, holistic, meat lover, paleo, vegan.